The CPCS Excavator Course gives the opportunity for plant operators and drivers to attend the relevant training in order to hold a operators ticket. With the ticket, they will be able to work on site. It is likely that the plant operator’s card will soon be compulsory for those who want to work on site and operate a dumper and roller. It is advised to obtain one in the near future. Who should attend the Excavator course? Novice operators who are looking to obtain the CPCS Red Card. Is the Excavator course accredited? Delegates need to have a current Health and Safety test pass and it must have been attended in the last two years. Once this is completed the delegate then can sit the practical and theory test. The course will teach delegates how to operate the machine safely and correctly. 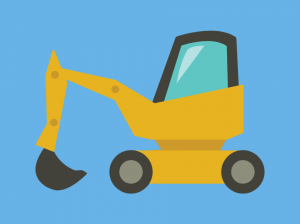 What is required to pass the CPCS Excavator (A59) training course? The delegate will first of all have a one to one discussion with a tester and have to attain a mark of approximately 80%. They will then partake in the practical examination in which they will have to follow instructions from a CPCS tester.